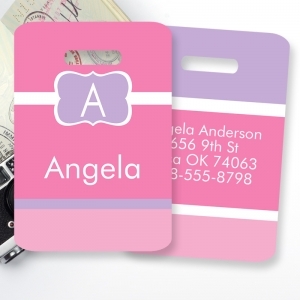 Monogrammed Bag Tags add personal flair to any bag or luggage. 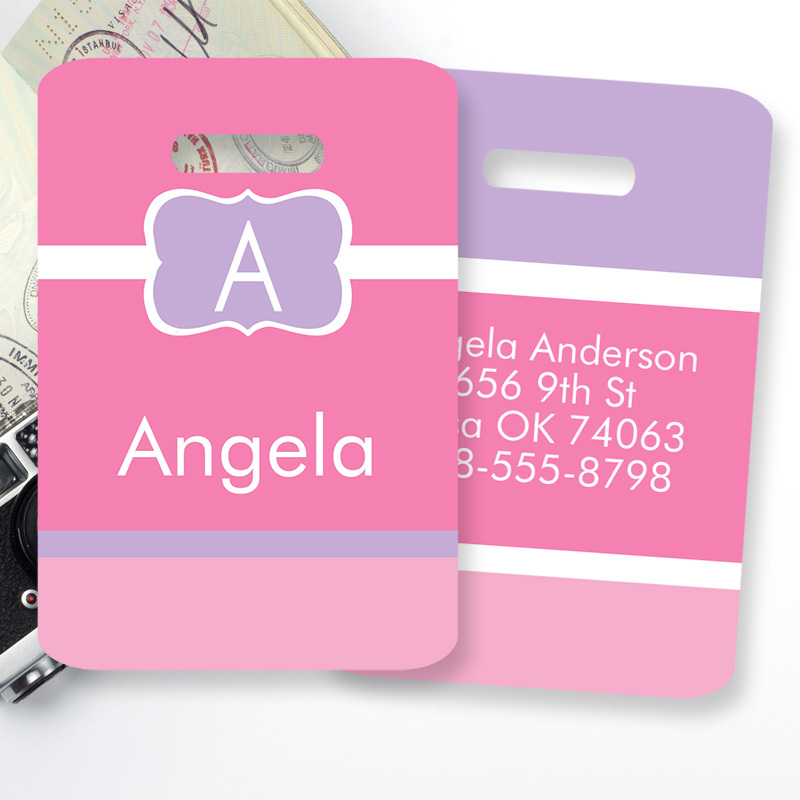 Tags can be personalized with your name and address. Great for kids back packs, diaper bags, luggage, sports bags, lunch boxes and so much more! Easily identify your bag with your own personalized bag tag.